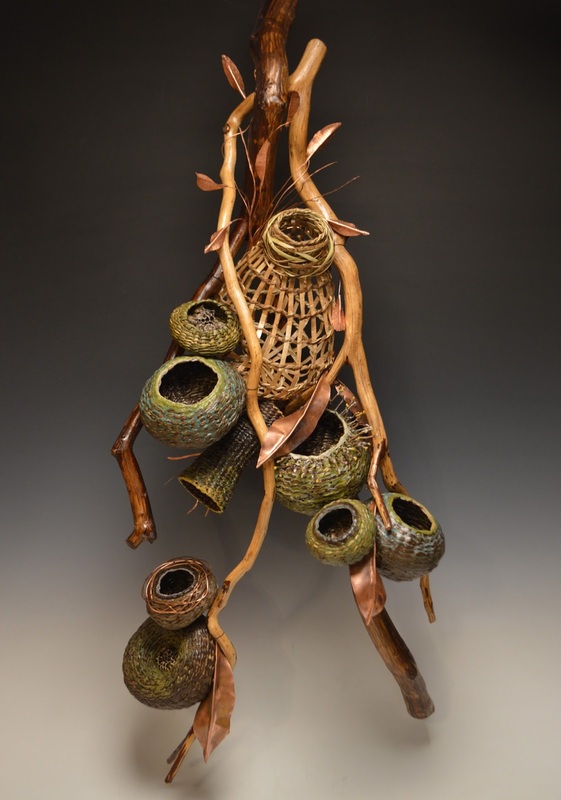 Grovewood Gallery in Asheville will be hosting a demonstration and display by world-class sculptural basketry artist Matt Tommey on February 19 and 20 from 11am – 4pm. 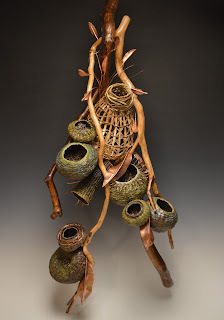 Tommey, who has a studio in Asheville’s River Arts District, has been creating sculptural art baskets since the mid-1990’s. Crafted from locally harvested bark, vines and branches, Tommey’s baskets reflect the rustic elegance of nature. 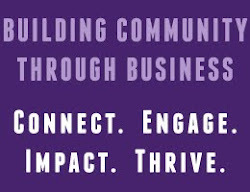 Tommey is a leader in the contemporary basketry movement, having served on the Board of Directors of the National Basketry Organization from 2011 - 2014. He also teaches basketry at guilds and esteemed craft schools across the country, including Arrowmont School of Arts and Crafts and John C. Campbell Folk School. In 2011 Tommey was named an “American Artist Under 40” to watch by the Renwick Gallery of the Smithsonian American Art Museum. For more information on Matt Tommey visit www.matttommey.com.